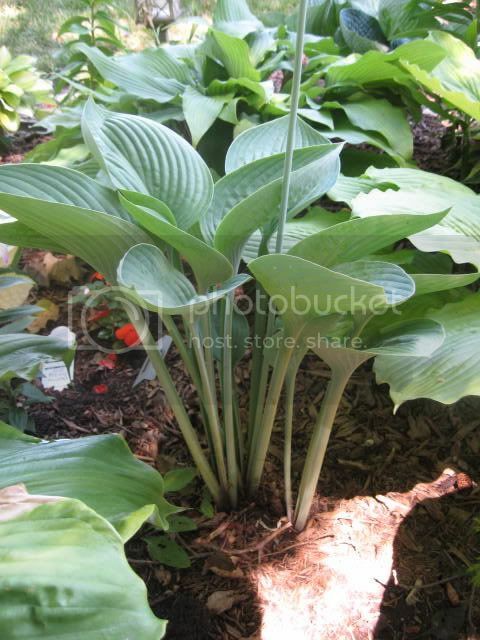 It was love at first site for me when I spotted the hosta 'nigrescens'. I love the upright, vase shaped leaves and the unusual grey green color. The flowers scapes on 'nigrescens' can grow to be 6 to 8 feet tall. The shape of the leaves always remind me of spade shovels. It's easy to grow smaller hostas underneath this one, but be careful since mine seems to be a vigorous growing hosta. Pair this one with green, gold, or variegated hostas. 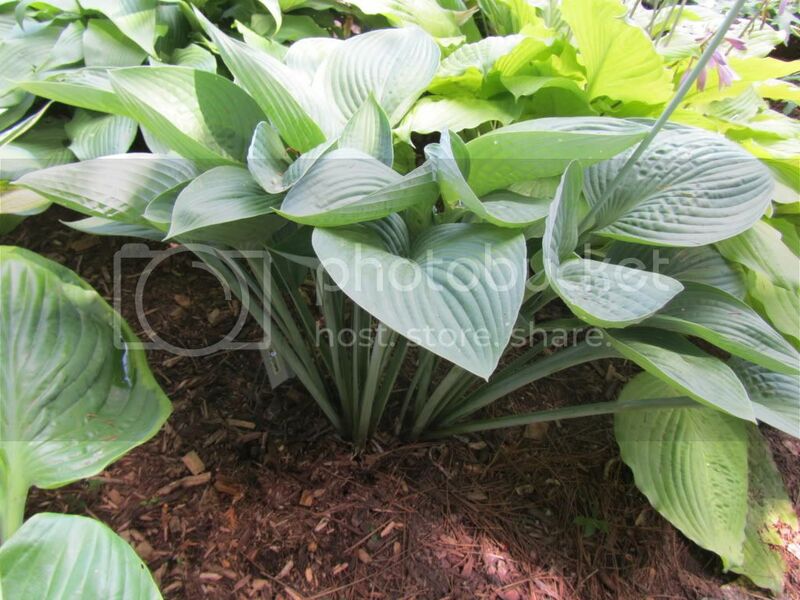 The lower the hostas surrounding it will show off it's great upright shape.